People often see us ‘traffic cops’ as the enemy – there to hand out speeding tickets and tell folk off for parking where they shouldn’t. There’s also a perception that it’s all blue lights and sirens and fast driving to dramatic incidents, like they show on TV. I always aspired to work in road policing and I very quickly learnt that there was far more to the role than most people know. Unfortunately I also learnt that, because of this, we can be one of the most undervalued branches of policing. Yes, we issue tickets. Yes, we enforce the laws. But, without these laws, could you imagine how unsafe our roads would be? For the innocent victims of the road whose confidence has been shattered after a serious crash, for the people who are trying to come to terms with life-changing injuries, and for the families who’ve lost loved ones – we’re there to get them the answers they need and support them through the trauma. I’ve been a shoulder to cry on many times and it never gets easier, but the most rewarding part of this job is helping people. I still believe that no one gets in their car with the intention of hurting anyone. Yet daily people are still injured or killed on the roads. Over three times more people die on Scotland’s roads every year than are victims of homicide – road safety is therefore something I remain very passionate about. People forget how dangerous the roads can be as they use them every day and, with this, complacency sets in. You may have driven the same route to work a thousand times but in that split second you’re distracted by the radio, your phone, a passenger – a person could step out into the roadway. If I could give one piece of advice to drivers it would be to always be aware of your surroundings – the unexpected could happen at any moment. We’re there to make the roads safer and I would happily never give out another ticket if it meant I would never have to see the grief of a bereaved family again. 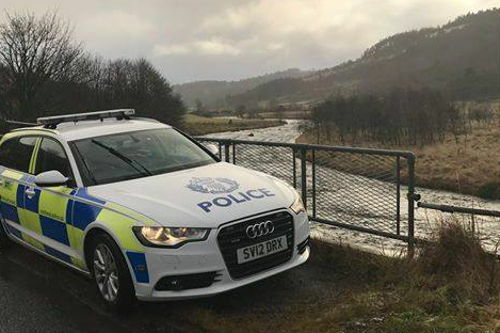 We’re a close-knit department and really depend on our colleagues to help us deal with some of the sights we unfortunately have to see in the aftermath of a serious incident on the roads. But to hear the words ‘thank you’ when you’ve helped someone, no matter how big or small the task has been, is part of what inspires me to continue to take to the roads each day and strive to help keep you safe. Article originally published on https://www.facebook.com/LothiansScottishBordersPoliceDivision as part of their #EverydayHeroes series.